A planned community on the south shore of Oahu, few miles west of Downtown Honolulu. It is also called the “second city” with respect to Honolulu. The land of Kapolei was formerly used for agriculture, growing pineapple and sugarcane. Today Kapolei has a population of almost fifteen thousand and the population is rapidly growing. This place takes its name from the volcano Pu’u o Kapolei. Much of the land here is part of the estate of the industrialist James Campbell. The town is further being developed into an urban center and is the fastest growing regions of Hawaii. It offers endless attractions and natural beauty. You can relax on the beach or party at a luau. The ideal time to go to Kapolei is in winters especially from November to February. It rains or snows two to four times a month on average making the weather pleasant and enjoyable. This time of the year is crowded with tourists as well as July as summers make beach enjoyable and people turn to attend luaus. Paradise Cove Beach is a nice relaxing spot to shed off all your worries while enjoying the natural shallow waters and avoiding the ocean currents. The sandy beach is quite small to remains undetected most of the time and hence is ideal for a quiet relaxing time. Nature and wildlife lovers would enjoy more here as they encounter lots of turtles and beautiful fish. Others may use it for snorkeling and swimming. If not anything you could always enjoy the mesmerizing sunset here. Kahe Point Beach Park is also popularly identified as Electric Beach due to the power station near it. It is very tidy with the best environment for water sports. You can surf, scuba dive and snorkel. It also offers amazing fishing spots at the end of trails and the fishing spots are used for freediving spearfishing. This place is ideal for snorkeling as they tend to find beautiful corals, monk seals, dolphins, and sea turtles. Amateur snorkelers may take advantage of the place but it is better for more experienced people to snorkel here. In the west of the city of Kapolei lie four man made lagoons: Hanu, Naia, Kolola, and Ulu. These four semicircular lagoons are surrounded by sandy beaches. The fine sand is brought from Lanai, a neighboring island of Oahu. These lagoons are perfect for children to swim and snorkel as they are constantly monitored by lifeguards. A special rock wall is also built to provide protection against the ocean waves and separating the area from the ocean. Ko Olina Lagoons uphold the reputation of one the most relaxing beach spots away from the crowded ocean resorts. The FIA FIA Polynesian Dinner Show takes place in the Marriott’s Ko Olina Beach Club one a week on Tuesdays. The evenings are made colorful by the beautiful hula dancing, music, comedy, Polynesian culture and narration given by Chief, the master of ceremonies. And most importantly there is a breathtaking fire dancing performance that blows one’s mind. The FIA FIA luau is a relatively smaller gathering allowing guests to interact with each other and providing a more intimate environment. For any golf enthusiast, this place is a must see as it is designed by the famous golf course architect, Ted Robinson in 1990. Ko Olina Golf Club is a contest golf course and is located in the outskirts of Kapolei. This place also ranks among the top 75 Resort Courses in the U.S. It was also called Hawaii’s best golf course due to its ability to cater both beginners and professionals, allowing the influx of a larger crowd. It also has meticulous maintenance. At the Kalaeloa Airport, there is the Naval Air Station Barbers Point Museum. It was the center for aviation and training after the destruction of Pearl Harbor during the World War II till 1999 after it was given to Hawaii. So in 1999, it was converted to a museum where it kept all the aircraft and jets historical to the place. If you are interested in history as well as aircraft, be sure to visit this place. There is no way that you’ve been to the Hawaiian Islands and not visited water parks. Wet ‘n’ Wild stands out as the top 10 most visited place in Oahu. It offers a range of 25 water rides for children as well as adults. It is a must visit as has something for everyone hence making it an amazing family destination. For wildlife lovers, this is the best place to experience marine animals from dolphins, sea turtles, and even whales. Hawaii Nautical offers sea life watches and has won the Award of Excellence from Tripadvisor. It is the leading sea attraction of the State and most importantly it goes an extra mile to ensure the safety of marine life. The beauty of the sea and the wonderful customer service make the experience worthwhile. 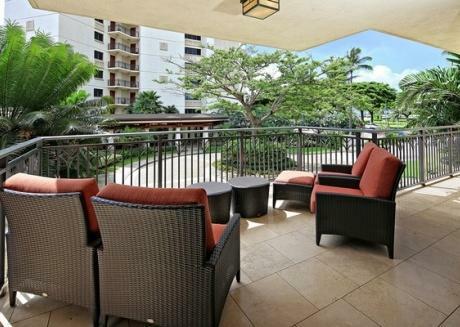 For a serene place like Kapolei, to fully enjoy the place it is best to go for vacation rentals. Vacation Rentals come fully equipped with amenities and allow a personal space of your own without the formalities of hotels. Overall Kapolei is a place ideal for family vacations and if you have younger kids hotels might not be a good option. With house rentals, you may be able to allow the children free space to run around and enjoy quality time. People sometimes tend to enjoy home-cooked meals at vacations rather than room service and the kitchen available allows that. The prices on average here range from $ 305 in August to $361 in November per night. There are almost 900 vacation rentals in Kapolei including apartments, condos, and houses with an average rating of 4.7 out of 5. So next time visiting Kapolei be sure to book a vacation rental. To relax from the Hawaiian sunburn, you can go to the Kapolei Shopping Center that contains 30 local and national brands. Kapolei is the best place to enjoy the Hawaiian heat and to make it a more pleasurable experience make sure to book a vacation rental.